YourMTB.com and YourCycling.com, 2 "grassroots media" websites that are home to mountain and road biking enthusiasts, respectively, have developed an innovative program to get coverage for cycling races and events. YourMTB and YourCycling members apply to be selected as correspondents for a race or bike event, and receive a free entry fee to compete or be a spectator in exchange for covering the event. Race and event organizers only have to donate one or more entry fees in order to ensure coverage of the event on either of the websites. The program is a "practically free way for organizers to get enthusiastic coverage of their races or events, plus a permanent record of the event as told by participants," says Steve Outing, founder and publisher of Enthusiast Group LLC, publisher of YourMTB and YourCycling. The Enthusiast Group also has upgrade programs that can embed the coverage from competitor/participant correspondents on an event's website  something the company calls a "Grassroots Channel." Correspondents  who are passionate mountain bikers, cyclocross and/or road cyclists  are typically not professional journalists, but rather enthusiastic sport participants and athletes who enjoy shooting photos and video and writing blogs. "The beauty of grassroots reporters is that these are people who are already motivated and keenly interested in the event. Plus the advantage of having multiple grassroots reporters means that you get multiple unique viewpoints. In addition to that, it frees up event organizers to focus on serving competitors, attracting sponsors and running the event itself. With the positive response we got, I'd do it again in a heartbeat. The creativity of our correspondents uniquely captured the flavor of our comp." Says Outing: "This new form of grassroots coverage of sporting events is proving to be very exciting. We're seeing our correspondents post photos, videos and blog entries. The common element in all their posts is enthusiasm. "The content from these event correspondents  plus submissions from other event or race competitors and spectators  creates a wonderful website that event organizers can use as a marketing tool, and as a permanent record of what transpired at the event." YourMTB.com and YourCycling.com are participative online communities designed for mountain biking and cycling enthusiasts. The sites are based on the concept of "grassroots media"  which simply means that cyclists themselves are the authors of much of the content on the site. The sites aren't all user-submitted content, however. Serving as head cheerleaders  encouraging and helping cyclists share their stories and images and offering expert advice  are Enthusiasts-in-Chief Walker Thomspon (YourMTB.com) and Whitey Debroux (YourCycling.com). Thompson and Debroux both write blogs for their sites, as well as produce audio podcasts, and occasionally video features. The sites routinely run contests and promotions, rewarding the best inspirational tales, photos and videos, for example, with biking-related prizes provided by sponsors. Use of the site is completely free to users. The Boulder, Colorado-based company was founded in 2006 by Outing and Derek Scruggs, an experienced Internet entrepreneur, with the goal of creating a network of grassroots-media-based websites serving adventure and participant sports. 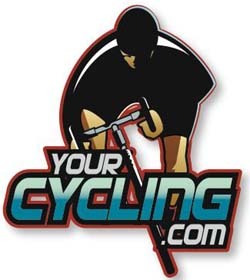 YourMTB.com, YourCycling.com, YourClimbing.com, YourRunning.com and YourHorseSports.com are the first sites published by the company to open to the public. Sites covering additional adventure and participant sports are planned for roll-out throughout 2007. The Enthusiast Group is funded by a group of 12 investors, including Omidyar Network (a mission-based investment group founded by eBay founder Pierre Omidyar), DB Medialab (the new-media arm of Norwegian national newspaper Dagbladet), and Brad Feld.